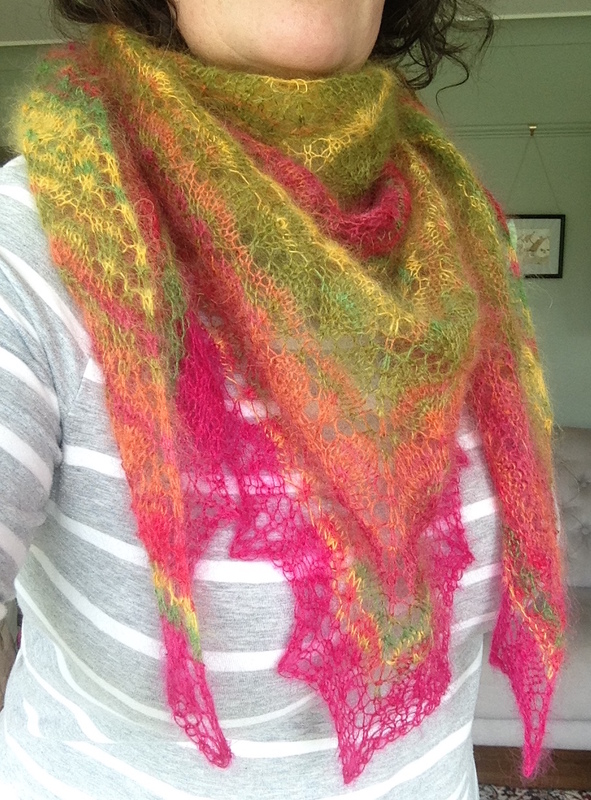 When Claire from Mollie & Claire asked if anyone fancied doing a shawl KAL back in March, I jumped at the chance. 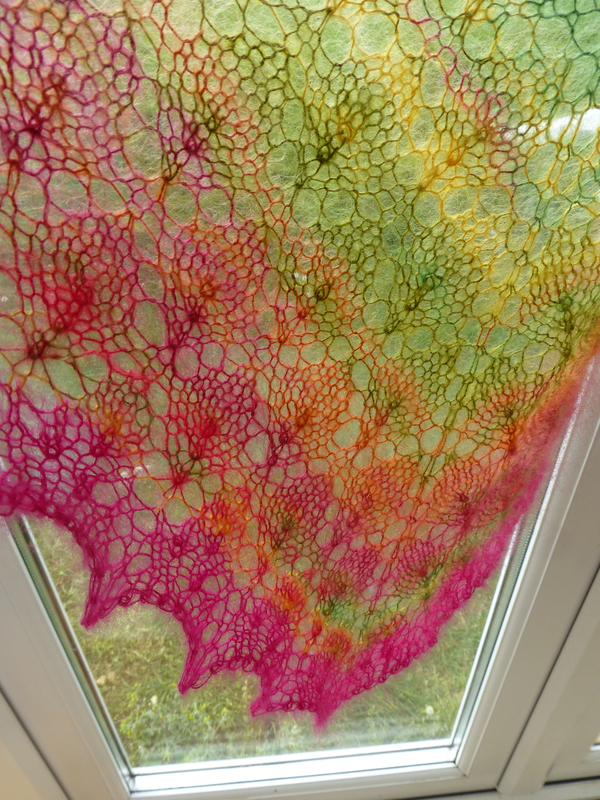 I had long admired each one of her ten versions of the Lace Leaf shawl pattern by Mary Henderson (£3-00 on Ravelry), so this was a great chance to bite the bullet and crack on with it. Does anyone else find that working this way helps you to get focused? A group was set up on Ravelry so if you want to look at everyone’s progress so far, hop over here and be nosy! I chose a luxury yarn of 70% mohair/30% silk (just because I could!) 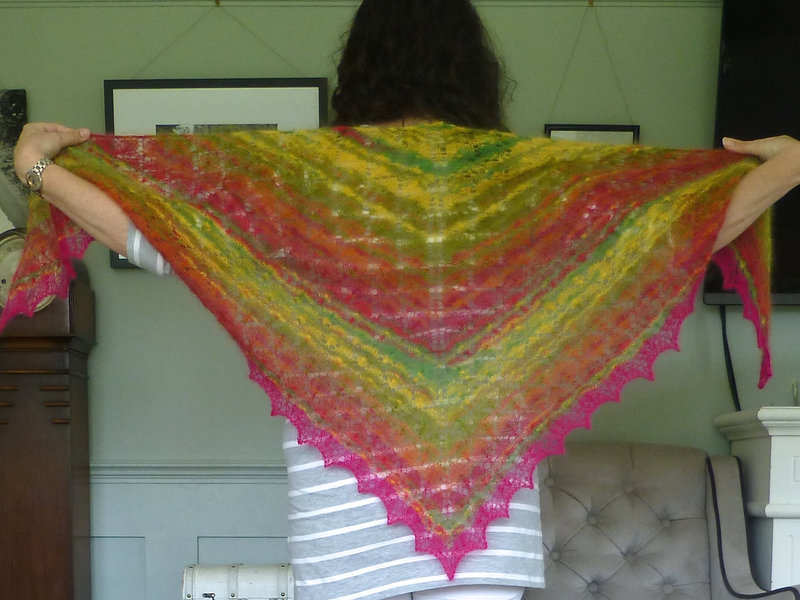 which, whilst expensive at around £18-00 per 50g, was affordable because it only needed a single skein to complete the entire shawl on 4.5mm circular needles. 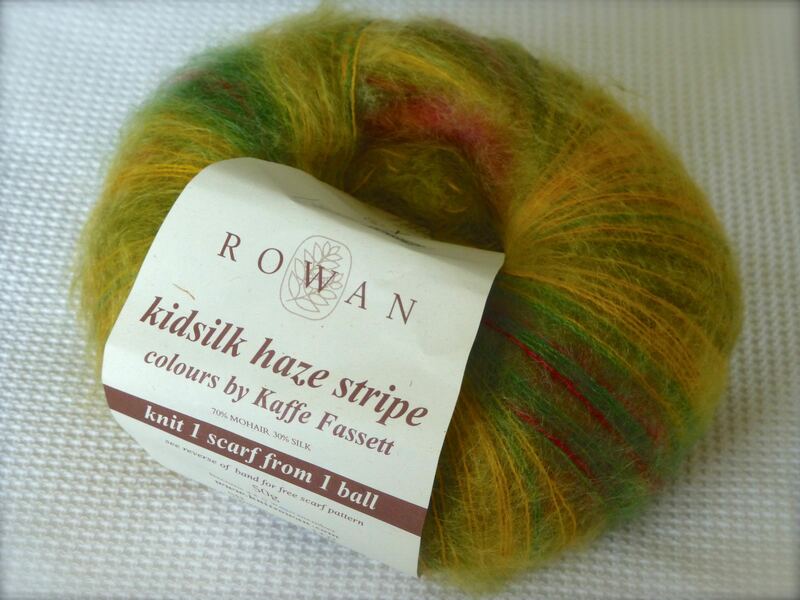 Designed by the legendary Kaffe Fassett, Rowan Kidsilk Haze Stripe in the ‘Circus’ colourway promised to knit up like this on the website…. ….but after I was some way in actually looked like this! To say I was disappointed would be an understatement but, as progress continued, the glorious pink which lured me in the beginning began to creep in. I frogged it back to the beginning twice before mastering the pattern – not an easy task with mohair as it welds itself strand to strand immediately. The pattern is an eight row repeating one and I found it a real pleasure to knit, always impatient to see the next band of colour emerge. I suppose I knitted for a couple of hours most nights over the course of two weeks, then I wove the ends in and blocked it, leaving it for twenty-four hours before it was bone dry and ready to wear. I used a matching shade in plain pink for the scalloped border as I wanted pink to be the main colour. You get more of a sense of the stripes in this photo of the shawl laid over the back of a sofa. The stitch pattern is so pretty that I might make another one in a plain colour to show it off more. Look how sheer and lacy it is – you can see right through it when held up against a window! Although it is warm and cosy around the neck, it is the lightest thing I have ever worn and weighs in at a mere 50g! It’s going to be perfect to throw around my shoulders on those balmy Summer evenings when we stay outside until after the sun goes down. 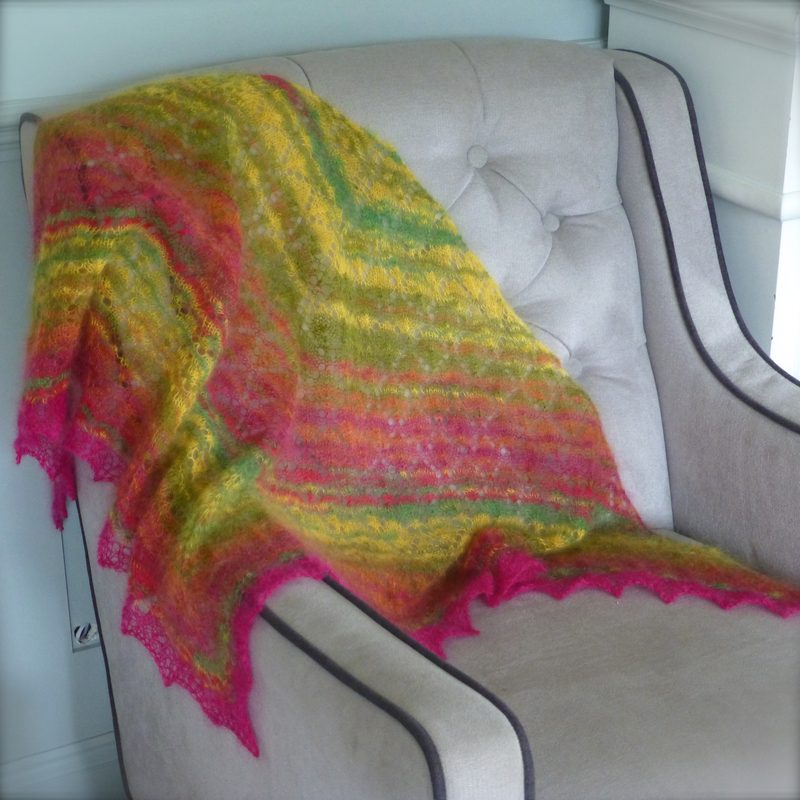 The colours remind me of rhubarb and custard…. Yep – it’s gonna be a favourite, that’s for sure! Categories: Knitting | Tags: KAL, Kidsilk Haze, knitting, lace leaf, scarf, self striping, shawl | Permalink. That is so pretty! I can see why you were initially disappointed in the colours – but once the pink hits it really becomes a thing of beauty! 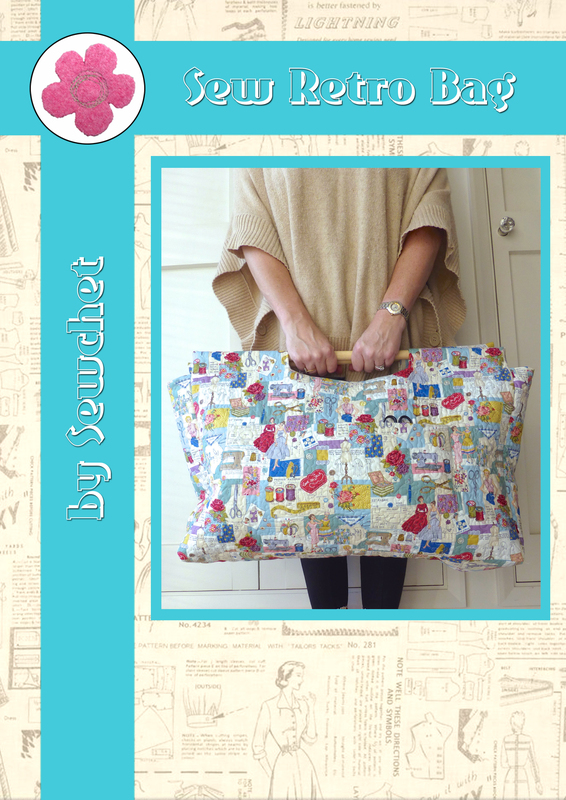 What a fabulous job you have made of it – I am just about to start the finishing edge on mine – so excited! Thanks Pauline, I’m so pleased with the way it turned out, it was just as I hoped in the end. Yours is pale pink isn’t it? It’s exciting seeing all the finished shawls gradually, they’re all quite different in the various weights and colours. Obviously I had no willpower and forged on, finishing early! 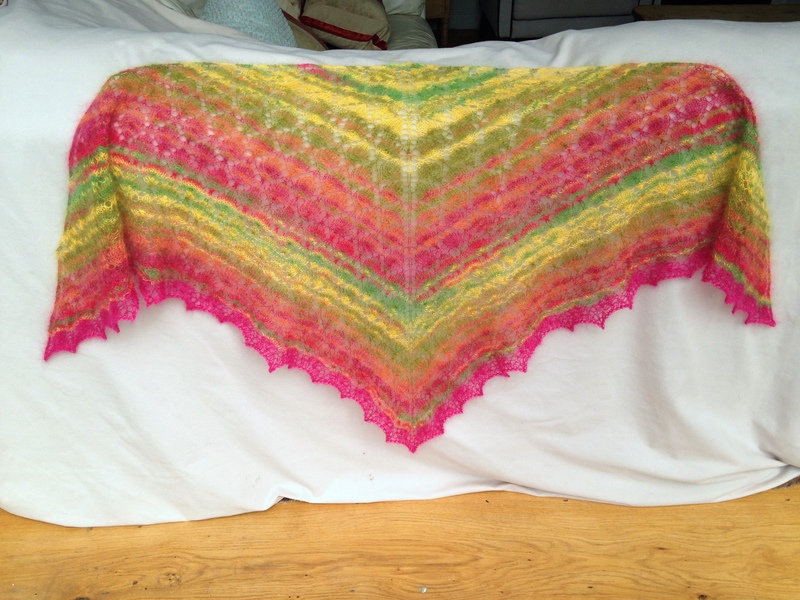 I’m enjoying seeing each shawl finished one by one though – it makes me want to start another! It is beautiful!!! I love it so very much and the colours are so gorgeous!!! And it looks so great worn by you!! So lovely!! Thank you, I love it too, now. I was worried the mohair would be itchy, but the 30% silk makes it soft and comfortable against the skin. It is absolutely beautiful. The colours did turn out gorgeous in the end. And I think the pink edge compliments and completes it. Thank you, I do love it now and I think it is going to be one of my most worn items. Don’t you just love it when something exceeds your expectations? Wow! So beautiful and delicate. Wonderful work. Thanks Lucie, it looks more intricate and delicate than it is though! 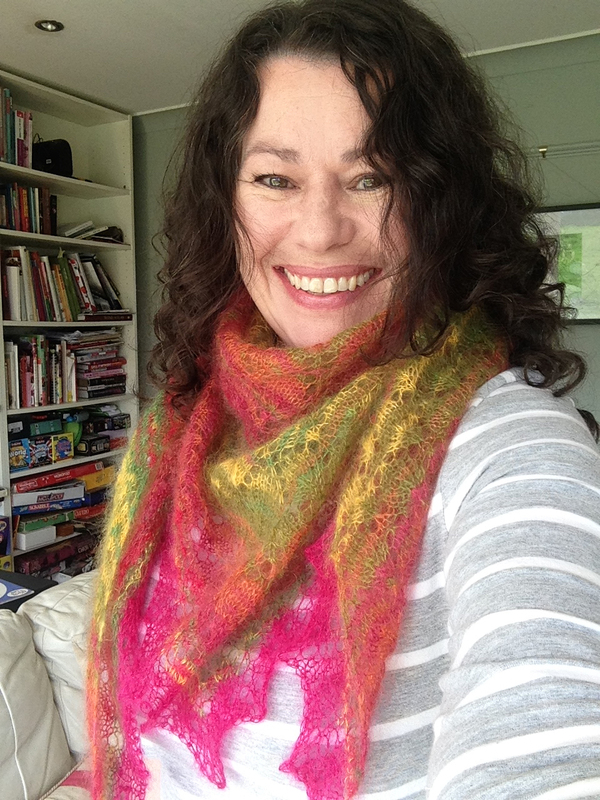 Such an easy pattern and very quick to knit up – I will definitely make another one. Have you seen this one? http://www.ravelry.com/patterns/library/evas-shawl It’s called “Eva’s Shawl” and it’s quite similar. Scrolling down the photos I can see why you were a little worried about the colours then Ta Dah how fabulous is the finished project, it’s just yummy !!!! Yes, yellow and green aren’t high up my list of favourite colours but I love the way it turned out – thanks! that’s so lovely and snuggly, I’m tempted to dust off my knitting needles. Is it as complicated as it looks, I’ve never tried lace work, though I have had the odd unintentional hole in the past! Not complicated at all – the lace effect is created by simply passing the yarn over the needle before a normal stitch to make a hole. 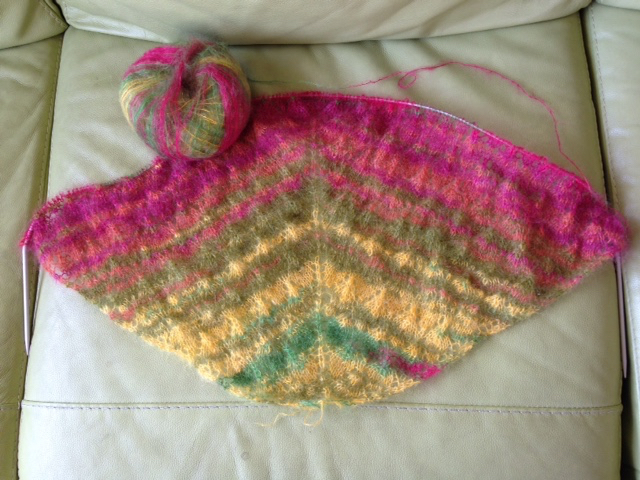 Very simple – but it does look as if I’m better at knitting than I am so I’m happy with that! Beautiful! That pink really makes it, you’re right. I bet seeing it come through really spurred you on. Will look forward to seeing your block colour version. That’s the beauty of self striping yarn – you end up doing ‘just one more row’ to see the colour change and, before you know it, you’re done! Really pretty, nice colors! I don’t think I quite yet have the patience to to work with such thin yarn! Thank you! The thing is, when going for a lacy effect like this, you actually size up your needles by at least two sizes from what the yarn recommends, so it’s a really quick project. Hmm that’s good to know! WOW!! I love how it turned out. The colors are fabulous and they flow one into the other. The pink really gave it a pow!! I really like the pic of you wearing it. Your hair is beautiful curly. You photograph beautifully. I would be so afraid to wear it. It appears so fragile. As is often the way with people with naturally curly hair, I hate it! 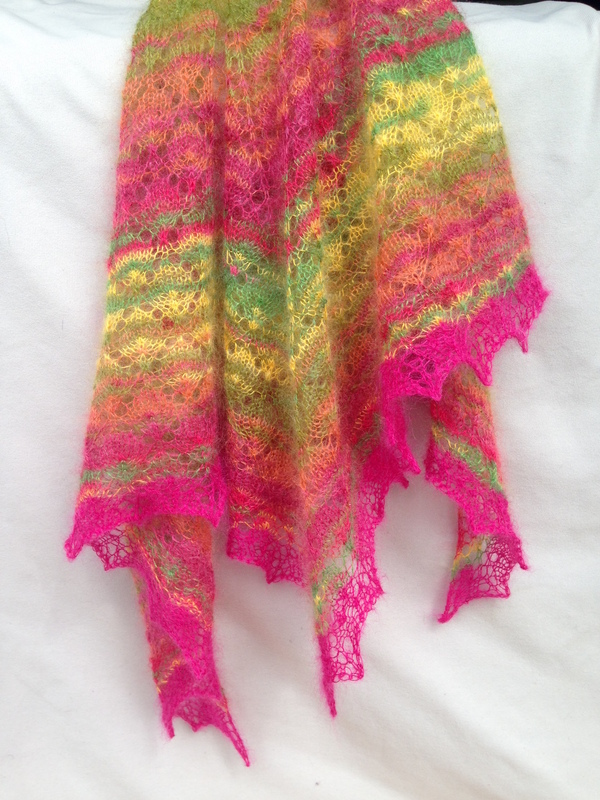 I straighten the hell out of it normally but I couldn’t wait to photograph the shawl:) I’m so pleased with the shawl though, and am definitely going to make another one – I just can’t decide on the colour…. So beautiful! I’m amazed you made this, the pattern is so pretty and delicate. Gorgeous. Gorgeous! So glad the pink emerged and the colours worked so well in the end. The wool looks divine. I think I’m going to have to add this to my list of must-knits. I agree about the rhubarb and custard – although I didn’t see I until you said. Enjoy your shawl – I know you will. Thanks Bekki! It’s a really enjoyable pattern to knit, if you know what I mean. Some repeating patterns can be monotonous, but this one kept my interest right to the end. 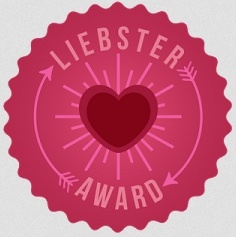 Thank you so much:) I wore it all day yesterday as it was a little chilly and it was just lovely – cosy but lightweight. I love how the striping turned out! I’m always amazed what 50g of yarn can stretch to. 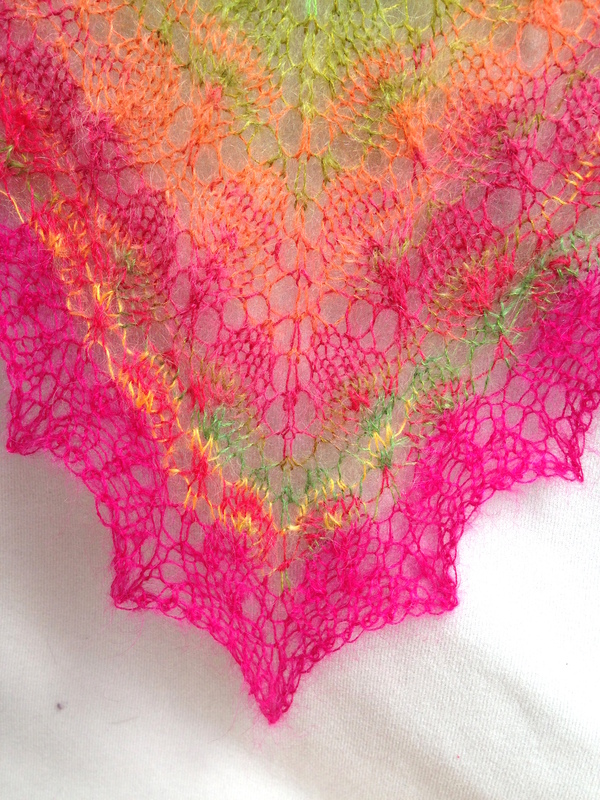 I may need to try a shawl soon! 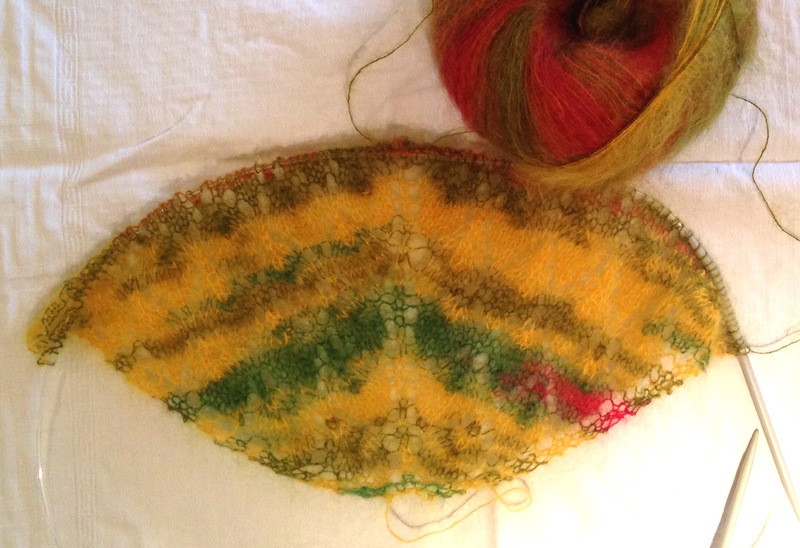 I never thought there would be enough wool to make a shawl that size, but it’s amazing what 50g will do, as you say. And it’s so lightweight but warm at the same time.